What’s the Stem Cells Buzz this Week? - EPC Migration and Angiogenesis, Airway Stem Cell Differentiation, iPSC Blood-Brain Barrier Model, and GBM Stemness and Chemosensitivity! Endothelial progenitor cell (EPC) recruitment and angiogenesis represent essential steps in the production of a thrombus intended to inhibit bleeding; however, what regulates these processes remains relatively unknown. Now, research from the labs of Xiao‐Qiang Li (Nanjing University Medical School, Jiangsu) and Wen‐Bin Wang (The Fourth Affiliated Hospital of Anhui Medical University, Hefei, China) suggests that the WTAPP1 long noncoding (lnc)RNA positively regulates migration, invasion, and in vitro and in vivo tube formation in EPCs by increasing MMP‐1 expression and activating PI3K/Akt/mTOR signaling. See STEM CELLS for all the details. Previous studies from the laboratory of Susan D. Reynolds (Ohio State University, Columbus, OH, USA) demonstrated that genetic stabilization of β‐catenin inhibited differentiation of mouse bronchiolar tissue stem cells. Now, in a new STEM CELLS study, Malleske et al. 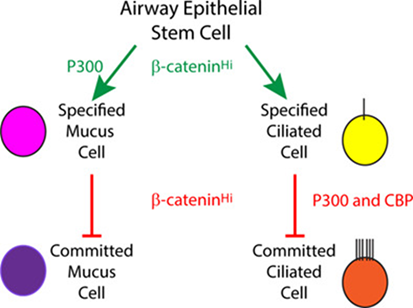 report that activation of β‐catenin dependent signaling in chronic lung disease leads to changes in mucus and ciliated cell frequency and that β‐catenin co‐factors P300 and CBP tune the β‐catenin signal to favor mucus cell differentiation. Sounds like a great read! Human cell-based models of the blood-brain barrier (BBB) may aid our understanding of BBB formation and degradation and the consequences of brain exposure to various drugs. 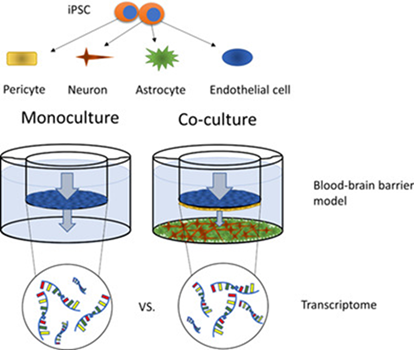 To this end, researchers in the lab of Louise Delsing (University of Skövde, Sweden) employed human induced pluripotent stem cells (iPSCs) to generate a human model of the BBB that includes endothelial cells in co‐culture with pericytes, astrocytes, and neurons. Overall, this new STEM CELLS study suggests that co‐culture of iPSC‐derived endothelial cells promotes barrier formation on a functional and transcriptional level. 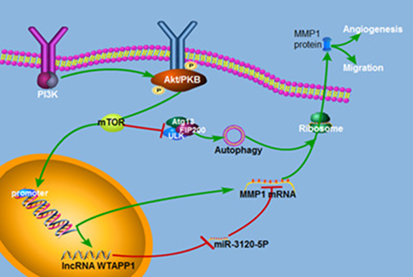 Therapies that target cancer stem cells (CSCs) present in glioblastoma multiforme (GBM), a highly aggressive and malignant brain tumor refractory to existing therapeutic regimens, may represent an exciting therapeutic strategy. 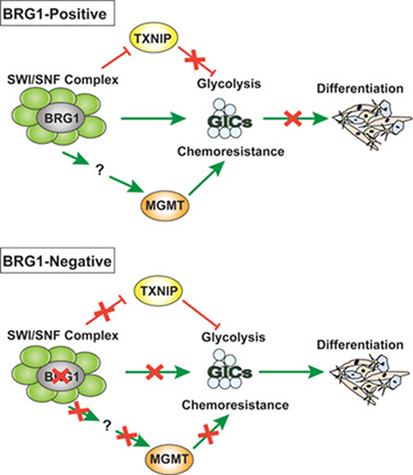 New research from the lab of Lawrence M. Pfeffer (University of Tennessee Health Science Center, Memphis, TN, USA) now identifies the BRG1 catalytic subunit of the SWI/SNF chromatin remodeling complex as a critical regulator of glial CSC stemness and chemosensitivity and a potentially druggable target. For more, head over to STEM CELLS post-haste!